Hi I’m Andrea. I work as cabin crew for British Airways and have done for 10 years+. I have lived in London all my life and am now living near the river with my husband. In case you were wondering this is me and my sister. I am the sister on the left – clearly the younger one! My mum has a background in soft furnishings and design and had a really successful business of her own for many years. I have been helping out and hand sewing blinds since I was at school. I have always loved being creative and making things so when I was getting married it seemed logical that I would make most of the decorations myself and that I would ask mum to help. We created hundreds and thousands of felt flowers making everything from the bouquets to the bridesmaid’s dresses and aisle markers. 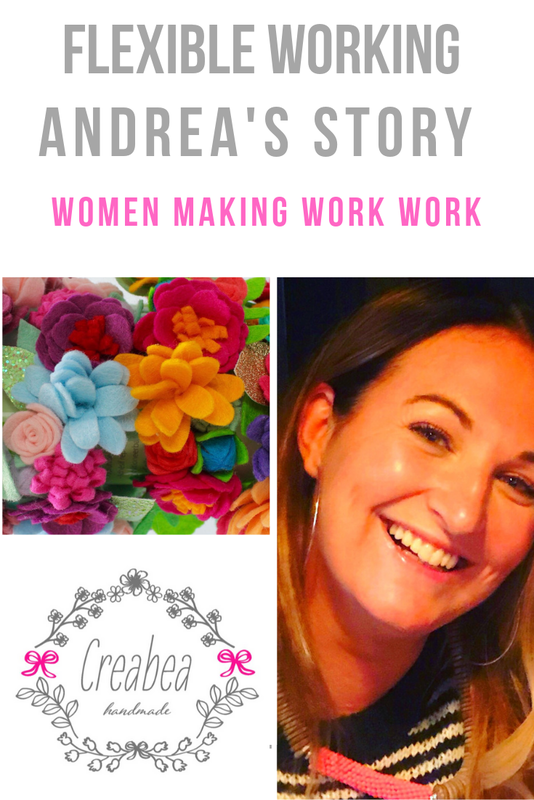 Once we were finished and Mum had retired we missed making things together and so decided to set up a business together and at that point I decided to go part time at work so that I could have that flexibility that I craved and spend more time at home. I now work for two weeks a month as crew and spend two weeks on Creabeahandmade. 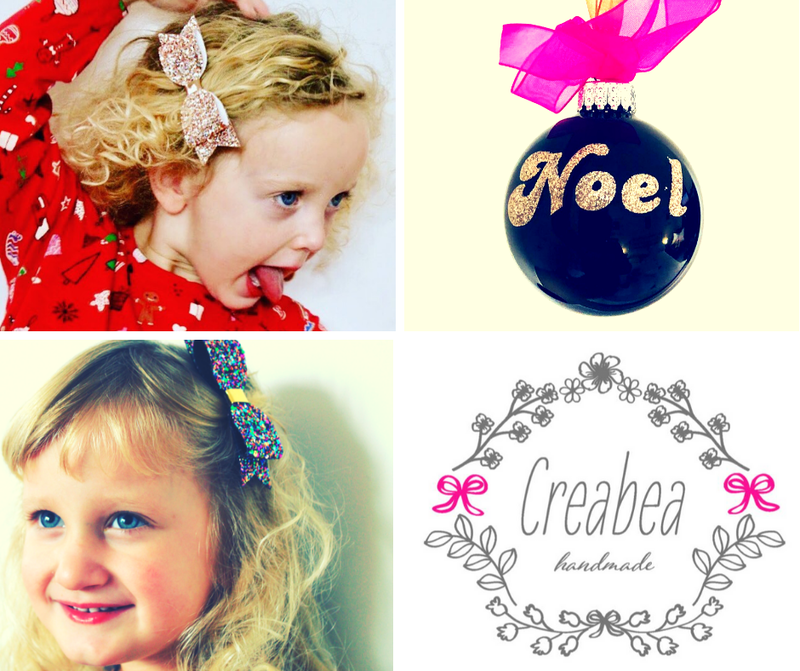 In case you were wondering about the name… Creabea is dutch for creative person and is what my husband (who is Dutch) calls me when I am diligently sewing away or researching design ideas. Everything we do is handmade and much of it is handsewn although I do have a sewing machine and a fab cutting machine for the felt and decals. We take custom orders for example personalising the book cushions and also sell at craft fairs, school fairs and on Etsy. I work for a big company two weeks of the month and of course this comes with internal politics, performance pressures and set ways of doing things so I love that on the other weeks of each month I can be freer. I have the best of both worlds really. The security of a permanent role along with the flexibility of working for myself. I like being able to work to my own timetable and having the freedom to make choices for myself. My motivation comes from being creative so having a source of creative expression is important to me and except when a big fair is coming up and the pressure is on, I find making my products relaxing. It is also great fun working with my mum and having something that we do together. The financial insecurity can be a bit unnerving. I make all of these products without ever really knowing if they will sell. It has gone well so far, but there are no guarantees when working for yourself and there is always a risk that it could go wrong. 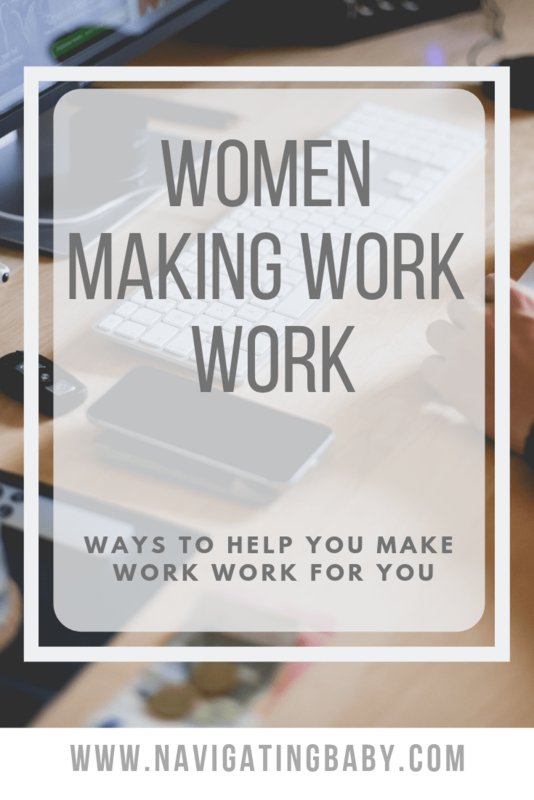 This is really why I am making work work by doing a bit of both. The combination of employment and self employment means that I know bills are covered. When I am working as crew I am not at home so there isn’t much balance there, but this part time arrangement has meant that I am at home more and can make weekend plans at least twice a month. The challenge for me is making sure that when I am at home I remember to stop sewing or making. With a small business you get out what you put in and so it can be tempting to never stop, but that would defeat the purpose of the flexible arrangement I have created. If you are making/ selling a product then which is the product that you love the most and why? I love the Sana’s washing line that I make for Christmas, but I also love colour and so the hairslides and flower headbands are a big favourite too as I can really get creative with my colour and pattern combinations.